Warning: If you are pregnant, nursing, taking any medications, including blood thinners, or have any medical condition, consult your doctor before use. Discontinue use and consult your doctor if any adverse reactions occur. Keep out of reach of children. Store at room temperature. Do not use if seal under cap is broken or missing. Individual results may vary. Glucosamine Sulfate 500mg is rated 4.7 out of 5 by 3. Rated 5 out of 5 by Anonymous from Excellent Previously I always drove to your store at the Mall. 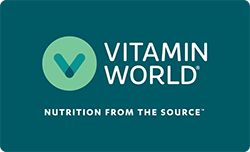 It's no longer there, and no Vitamin World close to me, so I have no choice if I want your product.